Flash Words accompany every BrainPOP ELL lesson. 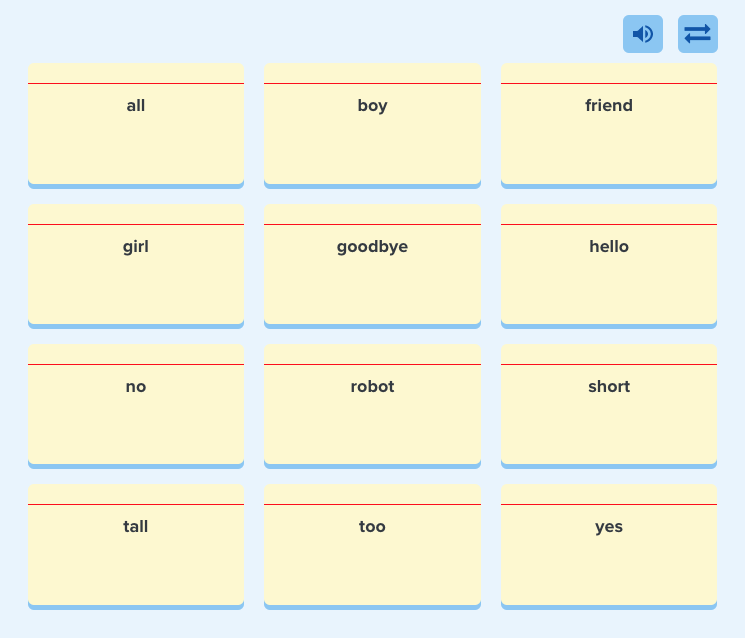 These clickable flash cards feature vocabulary from the movie on one side and a visual representation of the vocabulary on the other. Students click the audio icon to hear the word read aloud.